‘Aarzoo : ek wish har Aarzoo poori karne ki’ is an Initiative launched by HTC Corporation, in partners with leading NGO "Child Rights and You" commonly known as "CRY" to make quality education available to girl child, with ease. Aarzoo is not just an initiative; it is a promise, a thought or a better one, it is a movement for millions of crores of girls who, despite being talented, have to be deprived of excellent education due to poverty. 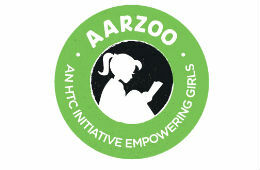 Through Aarzoo, HTC Corporation aims to fulfill the dreams of millions of young girls from the lower income group families by providing them what they are lacking to achieve their goal such as guidance, resources etc, to supplement their dedication and enthusiasm. As part of its corporate social initiative and, to mark 20 years of global operations, HTC Corporation, a leading innovator in Mobile and Virtual Reality technology, has unveiled this initiative ‘Aarzoo: ek wish har Aarzoo poori karne ki’’ in India. Sonal (Name Changed) is an activist and she is only 12 year's old. She is a member of the "Little Star Children's Group" from Shahbad dairy that works towards educating children on protecting themselves against abuse. 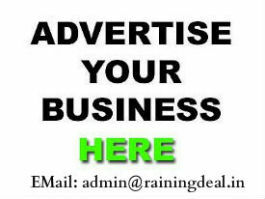 She has been working with other children from the basti who are yet not associated with the Children’s Group. Through Aarzoo initiative HTC Corporation, in association with leading NGO 'CRY , is supporting Sonal and other girls like her in achieving their objectives. Not just wanting to limit the contribution only from the company, last week, Mr. Faisal Siddiqui, President South Asia, HTC, visited the CRY center in South Delhi and spent time with the children talking, exchanging gifts and clicking photos and selfies. Speaking on the association, Mr. Faisal Siddiqui said, “According to DHS data around the world, female literacy rates are improving but India ranks 38th among the 51 developing countries for which comparable data is available. Indonesia, Rwanda, Ethiopia and Tanzania — all rank higher than India. We firmly believe that education is the birthright of every child, especially girls as their education and awareness helps build a better and progressive society. We are pleased to associate with a reputable organization like CRY, which has been dedicatedly working towards providing a better childhood to children to take a step forward towards fulfilling this vision of ours. I would like to reiterate our commitment towards providing quality education and enable better prospects for the girl child in the country." The campaign brings together HTC and CRY in an effort to create education and basic training opportunities for the girl child from the under-privileged sections of society and also aims at making them aware of their rights and the means to protect them. As part of the campaign, HTC hopes to achieve an on-ground-impact on girl child education for 1500 girls through CRY, and, for this, has contributed part of consumer sales proceeds over the past few months to the NGO.HTC and CRY also unveiled a calendar wherein the models were 12 bright girls from the CRY center to mark the association.